Also nails are included in my weekly sceduele, some people have a lot of hard soil so nails are kept short by themselves, but I prefer clipping them weekly. 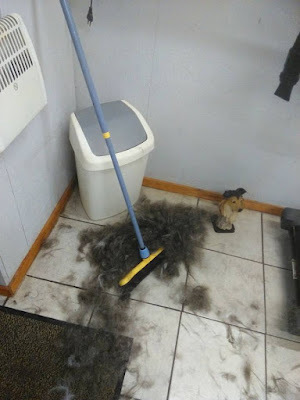 Every breed has it's own coat and stucture so obviously needs his own breedspecific care. So in my case the Borzoi gets washed a lot more then the collies. But every dog needs a washing every now and then, because I find, a nice coat has to grow from a clean skin. 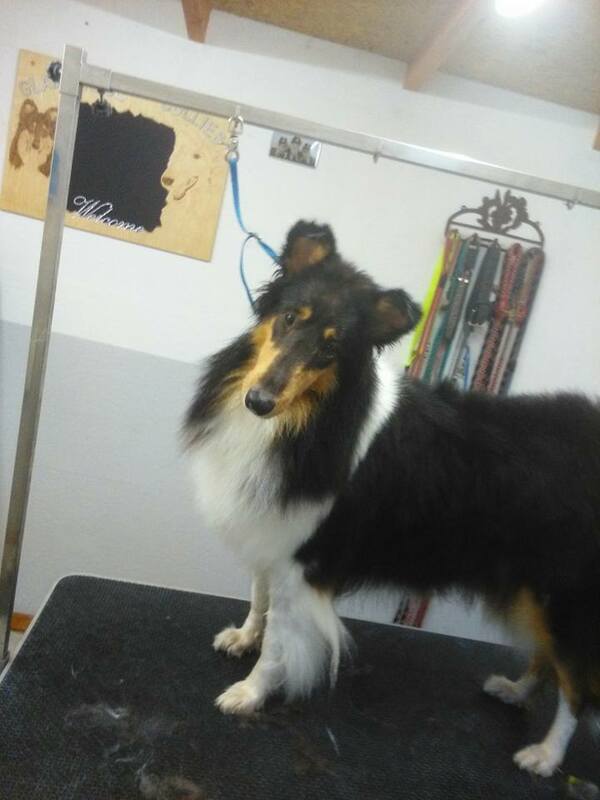 Our borzoi gets washed before every show, and if we don't show her for a period she gets regular bathing, according to the wheater we have, so when the wheater is terrible she gets washed more often because of the dirt she gained while we walk her. 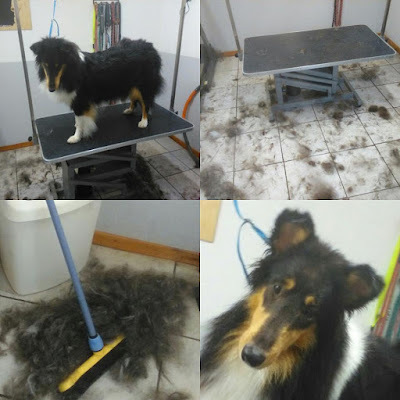 The collies I bath not that much. The most important bathing for them I find when they are in shedding season, I like to wash and blow them to get rid of most old hair as quick as possible, so new fresh coat can come out of a fresh skin. 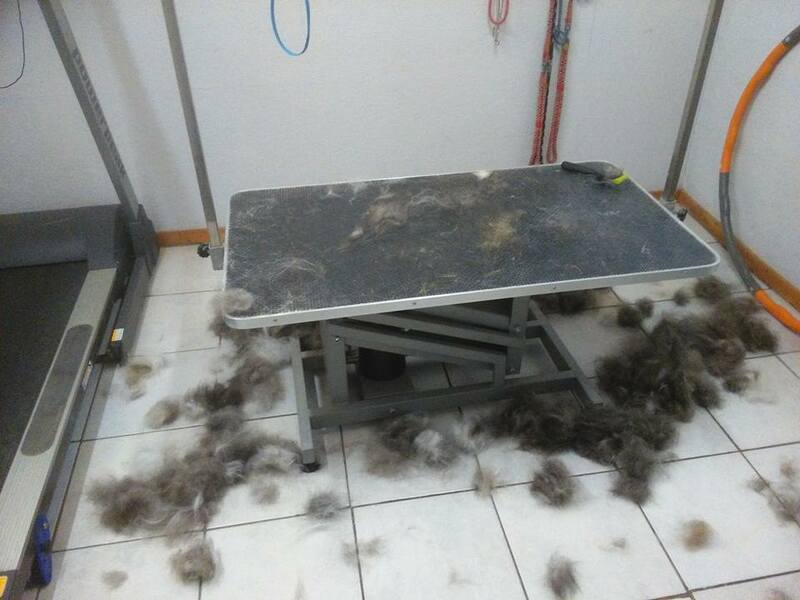 It is a hell of a job, but oh so much fun, blowing out all loose furr, and they get so happy when they have their old coat out, no more itchiness. Teeth, is sometimes a problem, I think that no dog really likes getting their teeth done, but yes like the nails I do it every week. Bad teeth are not only make stinky breath, but can cause big troubles, with even heart disease and such. And also for the showing part of it. Imagine being a Judge, checking teeth, and they are all covered in plague and yellow stuff. I wouldn't get happy if I saw that. So next time when people take a dog to show, please check for mats, nails and teeth.